The Institute warmly welcomes, as a result of their years of campaigning, the establishment of the Marine Institute and its effective adjunct, the Irish Maritime Development OfficeThose who had urged the development of an Irish merchant fleet for years greeted its tardy arrival by the creation of the Maritime Institute of Ireland. The Institute considered its first task to be to win wholesale public support for this new venture to ensure that our State would never again be dependent for survival on foreign shipping. The Institute also promoted policies to ensure that, when the war ended, successive governments should be solemnly pledged to develop permanent maritime policies. These included a constructive policy based on serious encouragement of the marine sciences, which are now very effectively being addressed by the Marine Institute for the development of the national fishing fleet. Lectures givenThe Institute’s initial campaigns to forward the objectives just recalled, consisted of public lectures on maritime themes and public film shows on maritime subjects, careful attention to the press with Institute intervention if possible if ever a newspaper published maritime news or other topics, the Institution of Maritime Weeks, with poster displays, lectures, film-nights, public library displays of maritime material and deputations to the government.These were expensive to run, but not so expensive as the National Maritime Exhibition run in Dublin’s Mansion House on several occasions. Probably the most varied, best-organised, most publicised exhibition was that of 1942 which was run to introduce the Institute and its aims to the Irish public. Perhaps the most fruitful educative work was done by the regular printing of articles on our aims and activities and on famous Irish-descended seamen under foreign flags in the Maritime Magazine.Policy requestedThis journal was handed over to the Institute when its publishers changed direction, and for many months the Institute had its own journal, well illustrated with numerous photographs, edited by Desmond Branigan, now President of the Institute, who had served in the Irish Shipping Company’s fleet during the war. Though this particular publication was too expensive for us to keep going, the Institute has consistently published a regular journal of some sort, this one being the latest. The “Muirchu” in Dun Laoghaire. Formerly the British “Helga”when it shelled Liberty Hall and the Custom House in 1916. Continued from previous pageThe Institute’s archives also contain details of Irish activities under diverse local rulers in Belgium, Australia, New Zealand and India. This material was gleaned from archives in London, all the great French ports, the Spanish naval archives at the Viso del Marqués and the Portuguese records at Belem. These records show that Irishmen, and some women, working at sea, in shipyards, shipping offices, light-houses, and lifeboats, and in various laboratories, have taken part in and sometimes altered the course of developments in maritime history, some great and some insignificant. It seems unlikely that so many persons of other national origins can have been so widely involved in the world’s maritime history.School experimentIn the 1960s, an experiment was introduced into Dublin schools in which pupils adopted various ships, especially of Irish Shipping Limited, the State-owned company. This was highly popular with both teachers and pupils, but sadly, interest waned and, unfortunately, the experiment was discontinued. For over 40 years, the Institute has made an arrangement with City Quay Church and with St. Patrick’s Cathedral, Dublin, that each will have an annual service to recall the memory of all seamen victims of the wars of the last century, and particularly those from this country. These are always well attended. Museum openedBy this time the Institute’s museum was open to the public in Dun Laoghaire’s Mariner’s Church, occasioning a steady flow of local residents and foreign tourists, some of whom posed serious and thoughtful questions. The Museum’s closure because of its physical condition is felt as a sad loss by quite a few local citizens. Ensuring its survival and future development must remain an urgent challenge for the Institute. Among the most interesting visitors, there over the years were the survivors of 3 German warships sunk in the Bay of Biscay in the Second World War. The survivors were picked up by the small Wexford coaster Kerlogue at very great risk. 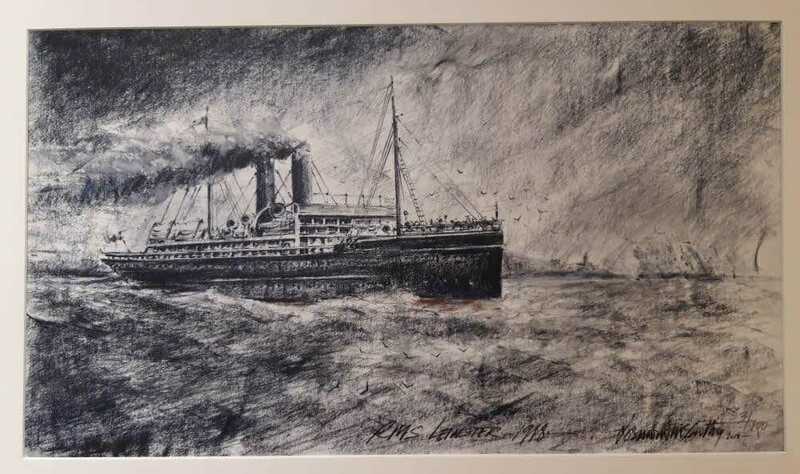 The story of this too little known episode of Irish heroism at sea has been written by former Institute President, David Sheehy. 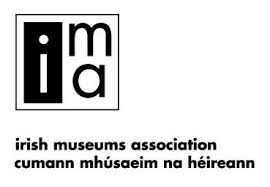 Another sad happening was the passing this summer of the Museum’s distinguished Manager, Mr Robbie Brennan (see page ????? ).Through contacts made with the Institute’s museum, many of the world’s great maritime museums, such as the Musie de la Marine in Paris and the British National Maritime Museum, have developed permanent contact with the Institute, which in the past 30 years has been represented in large conferences on incidents or trends in international maritime history. In its 60 years of existence, the Maritime Institute has made great efforts to revive the once vibrant maritime spirit of this land of ours. We have had little help from the media, though from time to time newspapers, the television, and also radio stations, particularly local ones in and around Dublin, have shown genuine interest and great courtesy when we have sought their help in the struggle for restoration.The maritime spirit that once permeated this nation, and not only the spirit, but the practical effort needed to make Ireland a force again on the sea continues to thrive with developments like the creation of electricity from wave-power, and the design and use of fast all-weather passenger ferries.Hopefully, all will be well.